The classic English country cottage is both an icon and an archetype. Dozing beneath a heavy thatch and with roses around the door, it seems to epitomize all that is desirable about life in the countryside and to offer the perfect antidote to the stress of the urban grind. 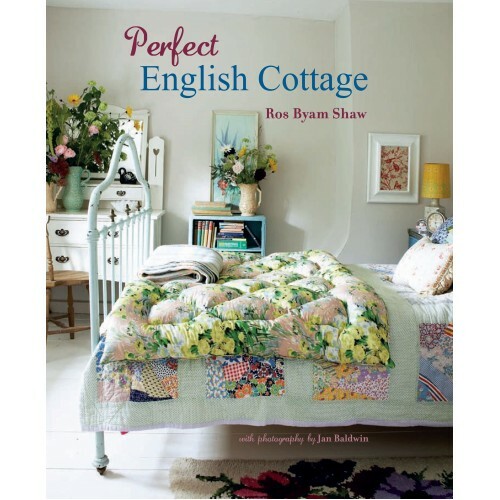 In Perfect English Cottage, Ros Byam Shaw takes a fresh look at the decorating and design solutions that make the classic English country cottage as attractive inside as out as well as practical and comfortable to live in. The book is divides into five different chapters that address different facets of the look: Romance, Character, Holiday, Simplicity and Elegance. The featured homes are incredibly varied, from a humble farmworker's cottage with exposed beams to a pared-down Georgian gem, to a picture-perfect cottage with roses round the door - and plenty more adorning the interior. At the end of each chapter there is an invaluable review picking up on ideas and inspiration from the featured homes. At the end of the book there is also a comprehensive directory of sources to help you achieve the English Cottage look in your own home - wherever you may live.